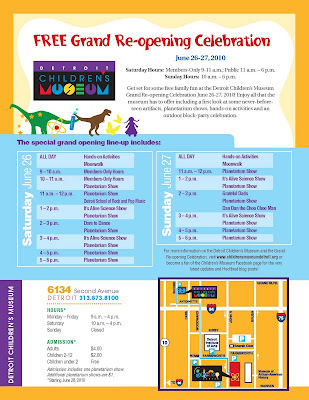 Children's Musuem Grand Re-opening Celebration Schedule! This is going to be SO MUCH FUN! See you there! 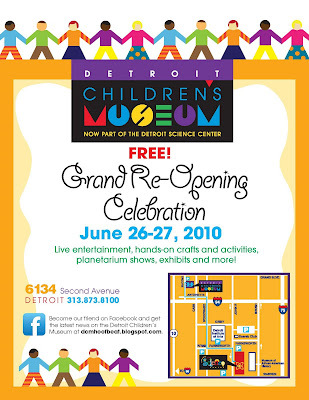 Grand Re-Opening Celebration is coming up soon! Don't miss! These past 2 weeks have flown by. We have created some new spaces, added some hands-on activities throughout the museum, added more artifacts, and completed the classroom spaces for groups. This week we are getting ready to hang our kites, flags and the pterodactyl from the DSC. We have revitalized some of the old dioramas that have been with the museum for over 50 years. We are eager to show them off. My staff at the DCM are awesome. They have been working very hard to organize, finalize and create spaces that all of our visitors should find fun and interesting. 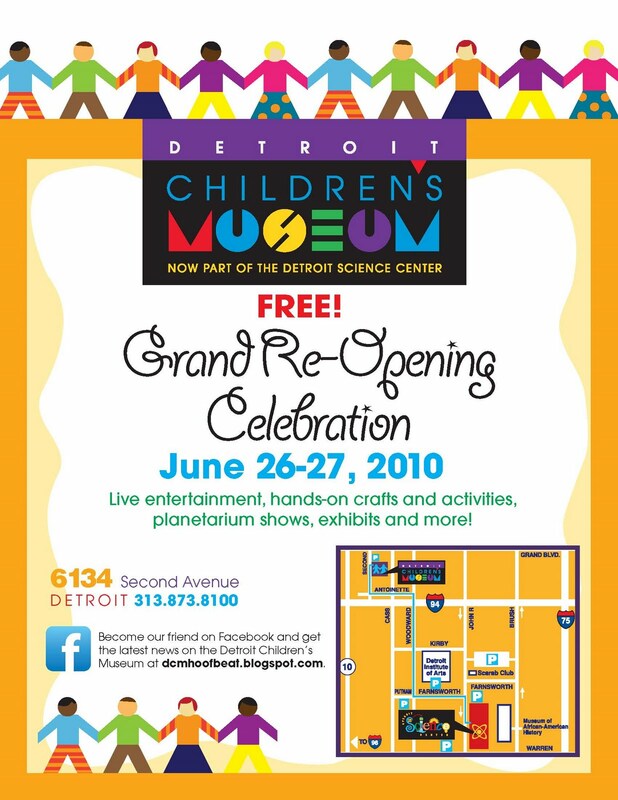 We are looking forward to our Grand Opening celebration on June 26 & 27. We hope to see you there. Please spread the word.